In order to ensure zero-defect quality, we conduct several tests on the products prior to final dispatch. You can rest assured us for the safest and superfast deliveries of the product range that we carry out in the dedicated time frame. 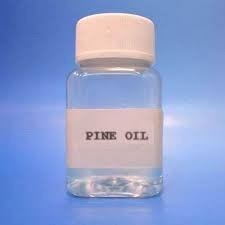 Pine oil has a pale yellow appearance and effective in many body aliments like fatigue, arthritis and influenza. Pine oil is an essential oil obtained by the steam distillation of stumps, needles, twigs and cones from a variety of species of pine, particularly Pinussylvestris . In alternative medicine, it is said to be used in aromatherapy, as a scent in bath oils or more commonly as a cleaning product, and as a lubricant in small and expensive clockwork instruments. It may also be used varyingly as a disinfectant, sanitizer, mircobicide / microbistat, virucide, insecticide, and a massage oil It is also used as an effective organic herbicide where its action is to modify the waxy cuticle of plants, resulting in desiccation.